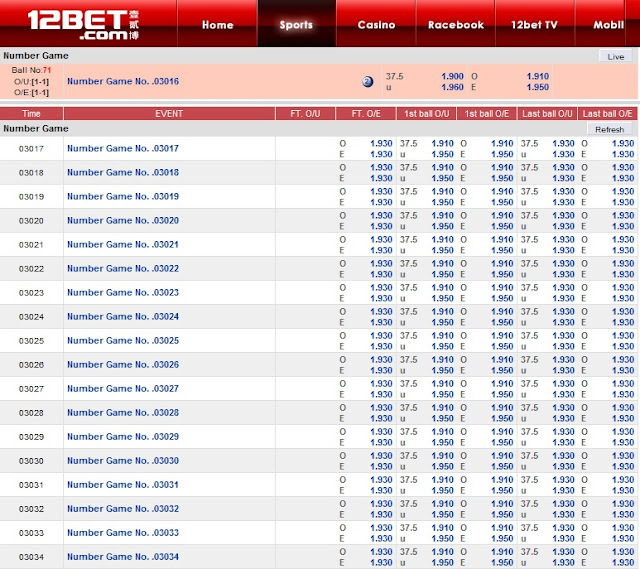 3.29.2.1.Generally, two types of betting will be available for the Number Game. (A)Pre-Games - Players may place bets before the game starts, but once the game starts no bets will allowed. (B)Running games - Players may place bets after the game starts and different odds will be given for every single ball drawn. The “last ball drawn” is defined as the last of a pre-arranged number of bingo balls drawn. If for any reason the last ball is not drawn, all bets on the last ball will be considered void and all the bets on the last ball will be refunded. Payouts are made only on complete games. A complete game is a game where the last ball is drawn without encountering any errors up to that point. In case errors are encountered, the Company reserves the right to void the game and refund the bets.